Loctek PLE36 Sit-Stand Desktop Riser. 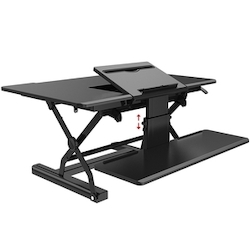 36 inches wide desktop raises up to 17 inches above worksurface. Gas Springs smooth movement. Supports up to 40 lbs.